I came across this guy picking mulberries on a highway service drive yesterday. He had that tree nearly picked clean and I told him about some of my favorite places to pick. 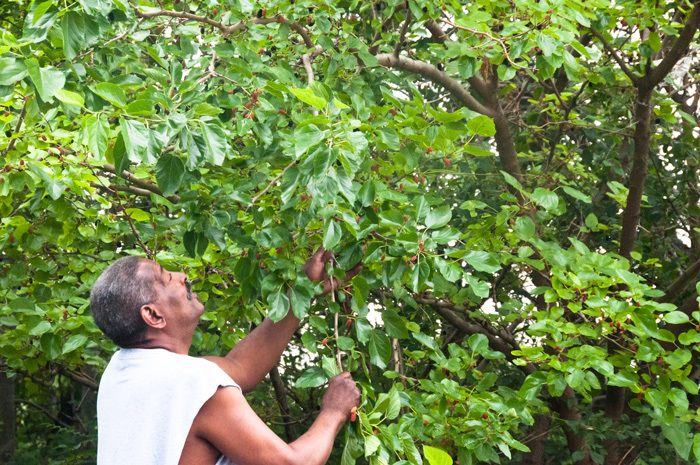 Then I asked him what he was going to do with all his mulberries, and he said, "Man, I'm just gonna EAT 'em!"